Kim Rossi Stuart directed an austere and tender family chronicle. 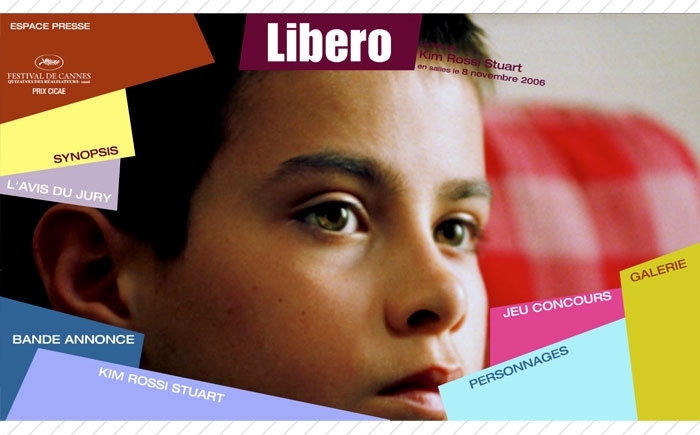 Libero received a standing ovation at Cannes. When the film was released in 2006 on the Mk2 French cinema network, the website was created to show video trailers, synopsis and the portraits of the main characters. The website adjusted to the screen size and different pages were opened by placing the mouse on the different coloured shapes.